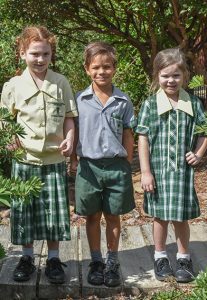 It is compulsory for children to wear school uniforms at St Paul's. Sports Uniform - is worn the remaining weekdays. Different uniform days may be allocated for different year levels, depending on when sports or specialist lessons take place. This information can be found in the school uniform policy and on the school calendar. The sports uniforms have coloured panels in them to distinguish the school house of each student. 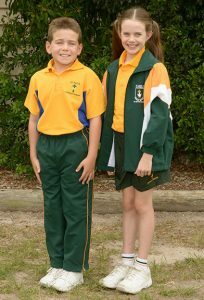 Preparatory Year (Prep) students are required to wear only the sports uniform. The school has recently introduced a dress as a girl's formal uniform option, a choice of the dress or the skirt and blouse can be on formal uniform days. The school enforces a "no hat - no play" policy. The intensity of the sun in Queensland makes this a necessary rule of the school. 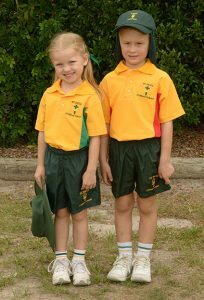 All uniforms and approved socks, hair ties, homework pouches, hats and bags can be purchased at the school uniform shop.